Wilfred M. McClay is an American intellectual historian, a noted conservative public intellectual, and the current occupant of the G.T. and Libby Blankenship Chair in the History of Liberty at the University of Oklahoma. McClay graduated from St. John’s College and The Johns Hopkins University, from which he received a Ph.D. in history in 1987. He taught at Georgetown, Tulane, Johns Hopkins, and the University of Dallas before moving to the University of Tennessee at Chattanooga in 1999, where he held the SunTrust Bank Chair of Excellence in Humanities. 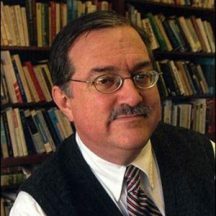 McClay is a Senior Scholar at the Woodrow Wilson International Center for Scholars, a Senior Fellow at the Ethics and Public Policy Center, a member of The Philadelphia Society, and a member of the Society of Scholars at the James Madison Program in American Ideals and Institutions of Princeton University. From 2002 through 2012, he served on the National Council on the Humanities, the advisory board for the National Endowment for the Humanities. McClay serves on the Board of Visitors of Ralston College and on the editorial/advisory boards of The Wilson Quarterly, First Things, Society, The University Bookman, The New Atlantis, and The City.